Acupuncture for Fertlity: Does it Work? Most of us have at least one friend who raves about how acupuncture cured their pain and leaves them feeling revitalized after each session. The whole idea behind acupuncture is that it unblocks your qi so energy can flow freely throughout your body, relieving stress and tension. Stress can wreak havoc on you physically as well as mentally and that includes your ability to conceive. Not to mention your desire to even try! But that’s just one way you can use acupuncture for fertility. Practitioners can focus on specific acupuncture points to focus on different areas and systems in your body. Treatments can help regulate your hormones, improve blood flow to your uterus, thicken uterine lining and generally prime your entire body for conception. According to a 2013 study, “Acupuncture has been demonstrated to improve menstrual frequency and to decrease circulating testosterone in women with polycystic ovary syndrome (PCOS).” Several studies have also found that women undergoing IVF fertility treatments have increased rates of pregnancy when they add acupuncture to the mix. The best part is that this is a virtually risk-free, pain-free treatment with few negative side effects. It may even allow you to take fewer fertility drugs and they definitely DO have some unpleasant side effects. 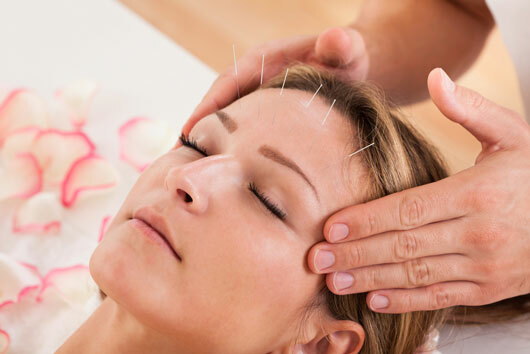 You can begin acupuncture at any point along your journey toward pregnancy but most practitioners recommend starting as much as four months ahead of other fertility treatments to make the most of them. Then they will create an acupuncture treatment plan to enhance each phase. Last, but most definitely not least, your man can benefit from acupuncture for fertility too! It can help his libido as well as upping his sperm count and increasing their mobility so they can get to work on that egg.